HOUSTON — Rene Farrell is running low on gas, money and faith. For the past week, she's tapped into her $1,700-a-month paycheck to buy clothes, diapers, food and fuel, among other essentials, to help her daughter and her two grandchildren after Hurricane Harvey wreaked havoc across the Houston region — leaving tens of thousands of homes damaged, and residents homeless and in a frustrating dash for aid. Farrell's now down to a few hundred dollars, praying some kind of assistance is on the way. "When the money runs out, it runs out," the 50-year-old said Friday. This is a palpable feeling for many of Harvey’s victims — particularly the working poor living paycheck to paycheck with little-to-no financial cushion. Some here now see a very fine line between destitution and bouncing back on their feet. Harvey is estimated to have destroyed or caused major damage to more than 13,700 single, mobile and multi-family homes in Harris County, according to the Texas Department of Public Safety. Many others suffered minor damage, but the scope of the calamity hasn't yet been tallied. Federal officials have said more than 100,000 homes were affected by Harvey, and more than 436,000 households have registered for aid through the Federal Emergency Management Agency. It's too much to bear for some of the 4.5 million people who reside in Harris County, which includes Houston, the nation's fourth-largest city. The median household income in the county in 2015 was $54,457, above the state average, but still with pockets of poverty at more than 16 percent of the population, according to the latest census data. The unemployment rate in Harris County in July was 4.9 percent, a notch above the 4.3 percent for Texas, which mirrored the national jobless figure. For Quajhonita Martin, 31, finding a job is the first thing on her list, because that means a steady income. Martin lives in the Greenspoint neighborhood of Houston, where 1 in 3 residents live below the poverty line — in some areas, it's over 50 percent. She has been out of work since January and previously labored as a certified nursing assistant for a local company called Independent Home Healthcare. While unemployed, she has worked odd jobs doing hair and makeup as a side hustle to make ends meet. But the floodwaters pushed her out of her home and into a precarious financial situation. Martin had no flood insurance because she couldn’t afford it. And, now, she has no income in the interim. "I've been struggling. If I could get some help I would be OK," she said, sitting outside the George R. Brown Convention Center in downtown Houston with bags of her belongings. Martin said she's frustrated at the slow bureaucratic crawl of getting financial assistance from FEMA. "I feel like we're not getting any assistance. I'm still perplexed," she said. "I'm just going out and making it work on my own." She said they gave her "the runaround" and now she's living in the convention center, which served as a makeshift shelter, and relying on staying with relatives until she can get back on her feet. "I'm not asking them to take care of me for the rest of my life," Martin said. "I can work, but can I get a helping hand? I'm not trying to take a mile, just give me an inch." 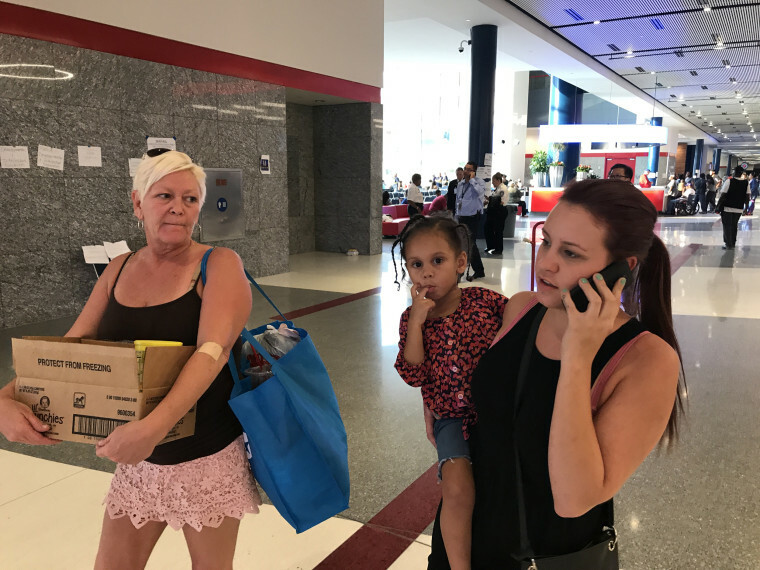 Farrell's daughter, Madison Gingrow, 21, also waited with scores of other families at the convention center waiting and waiting and waiting on long lines, only to be told they'd have to continue to wait to see some kind of financial assistance from FEMA. "They are no freaking help," Gingrow snapped, in between a phone call to follow up on her FEMA aid application. Gingrow, who has two young daughters — Aleiyah and Ka'Mia — has been recently unemployed from her minimum wage retail job. Gingrow lived in West Orange, Texas — a two-hour drive east of Houston, near the Louisiana border. Her two-story apartment building was almost completely flooded and she lost everything, including her food stamp card with $286 on it, plus her clothes and other mementos. She was told her apartment was inaccessible after the flood. Farrell and her husband, who is currently unemployed, live in Clear Lake, about a half-hour commute from Houston, where she rents an apartment. "It was already a one-income household," she said. "I'm worried if we're going to run out of food." "I thought she'd get some answers today," she added, holding 3-year-old Aleiyah. "I just don't know if I can sustain them on my own." But, she said, in the interim, she has to find ways to support her daughter and her grandchildren. They're going to stay with her until they get some answers. "You can't tell a 1-1/2-year-old you can't have a diaper. You can't tell a baby you can't go to the bathroom," she said. She's also working to scrap together funds to get her daughter and the kids to Austin — nearly three hours away — where they have family and she can find a job and temporary housing with relatives. "I have a job down there … I gotta get the money to get there," Gingrow said. She said she'd have to fork over $100 that neither she nor her mother have available. Another minimum wage worker, LaDecia Holcombe, said she held a job at a local burger stand in Houston that does not intend to reopen when the recovery begins. She only worked for the restaurant for three months and is unsure if she can get unemployment. In the meantime, she's staying with her uncle in the city until opportunities open up. She said she's worried about finding something else with the city still crippled and uncertain when many businesses will fully re-open — but she's prepared for the struggle ahead. "It really doesn't bother me," she said. 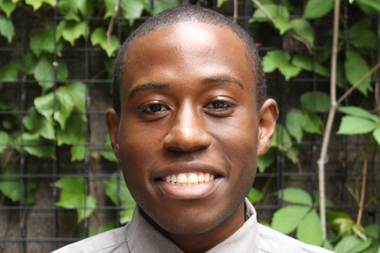 "I've been homeless before as a teen. If I can handle this as a child, I'm 27 years old now."